11th April 2013 might have been just another boring school day for most of us, but not for the Indian Dancers. As early as 6.45AM in the morning, the Indian dancers had assembled in the Multi-Purpose Studio, preparing to start putting on-make up. For the past few months, they had been putting their blood, sweat, and tears (sometimes literally) for this day — their SYF day. In the end, they clenched the certificate of distinction which is the highest level of award in the SYF. This year, the awarding system was changed to Distinction, accomplishment, and commendation instead of the Gold, silver, and bronze awards. The Indian Dancers certainly deserved their achievement. 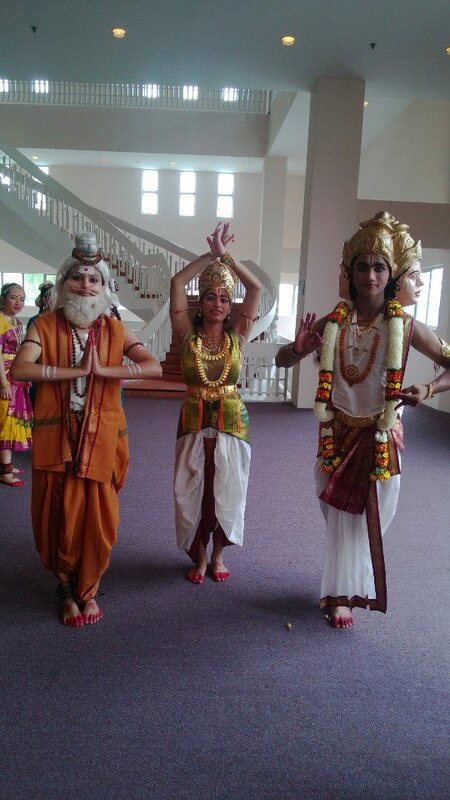 Choreographed and taught by Mrs. Sreedevy Sivarajasinga, the Indian classical dance named Natya Shristi (Creation and Aspects of Dance) was brought to life by the dancers. The dance opened with a narration about the “greed, lust, and injustice” in the world which was illustrated by 2 different groups representing violence and lust. Red lighting brought out the sense of horror that the dance scenes were trying to depict. The story continued with the appearance of 3 characters – Lord Indra, Lord Brahma, and Barathamuni – trying to alleviate suffering in the world. Another part of the dance included Hastas which was a set of standardised hand gestures, each with its own meaning. These hand gestures required precision, with strict rules on their execution. Even though less than half of the seats in the venue were filled, the exciting atmosphere could be felt through the shrieking cheers from the audience which mostly consisted of students at Kallang Theater. This achievement could not have come about without the hard work and perseverance of the dancers. “Things didn’t look too good initially because we had all of 5 dancers in the J2 batch and there weren’t many juniors who had auditioned for Indian Dance. But we really stepped up our efforts to recruit dancers by doing a promotional video and it did pay off! 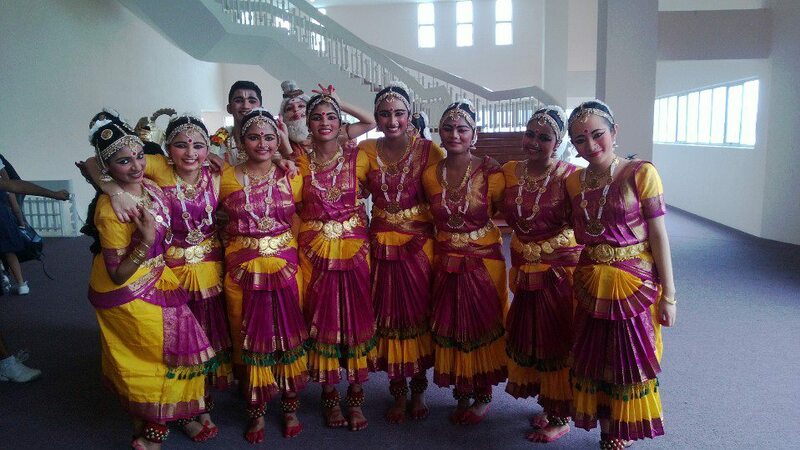 We managed to get 19 dancers for SYF – a huge leap from the mere 5 we started off with” said Renisha, the Indian Dance chairperson. Even the Year 6s faced challenges in coping with schoolwork as they had their CTs during the preparation period for SYF. “It sure wasn’t easy balancing studies and dance. The March Holidays was really a test of our mental and physical stamina. The J2s did try our best to study as much as we could for CT1 but I’d be lying if I said we did well for CT1!” said Renisha. 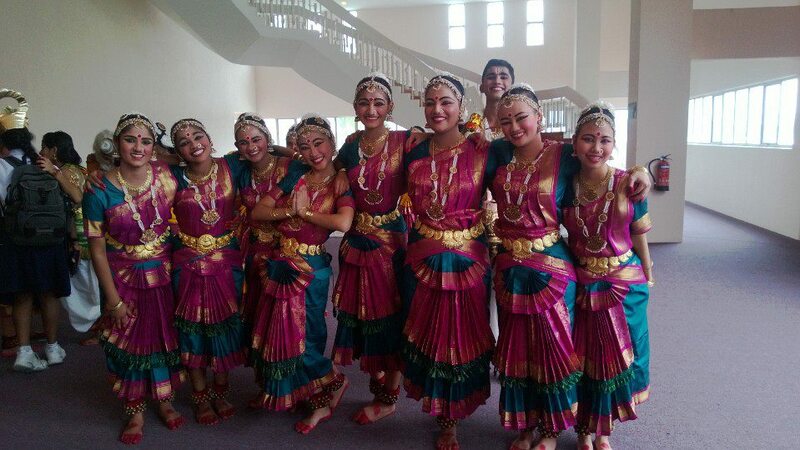 Thankfully, for the Indian Dancers, the hard work paid off in the end.